And all the fonts lovers said AMEN! Laura Worthington, the font designer behind the hugely popular Samantha font, has teamed up with The Hungry JPEG for the first time. 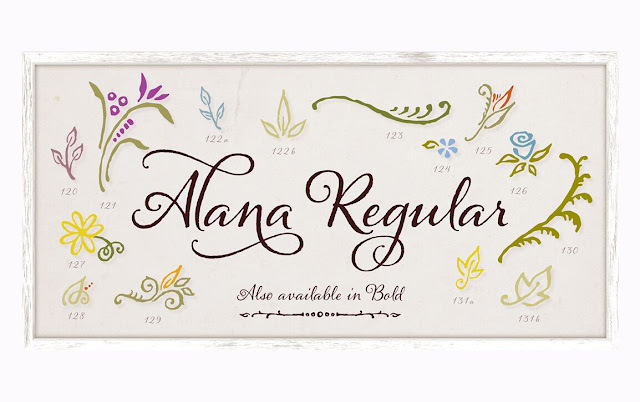 The newly released Laura Worthington Font Pack includes four beautiful commercial use fonts - all of which are fully accessible in Silhouette Studio. Just like their sister font, Samantha, Alana, Rosarian, Sheila, and Shelby fonts include hundreds of extra characters, glyphs and ornaments each - all of which can be used in Silhouette Studio without the need for any other software program. If you're not sure how to access the special font characters in Silhouette Studio, this tutorial will walk you through accessing the extras and alternative font characters. If you're looking for a commercial script font for stencils, Alana gives you a great start. As you can see many letters with counters don't fully close which means you won't have stencil 'fall out,' as I like to call it. For the letters that still have counters, but fully close, such as the 'd', you can use this Silhouette hack to make the font stencil-friendly. 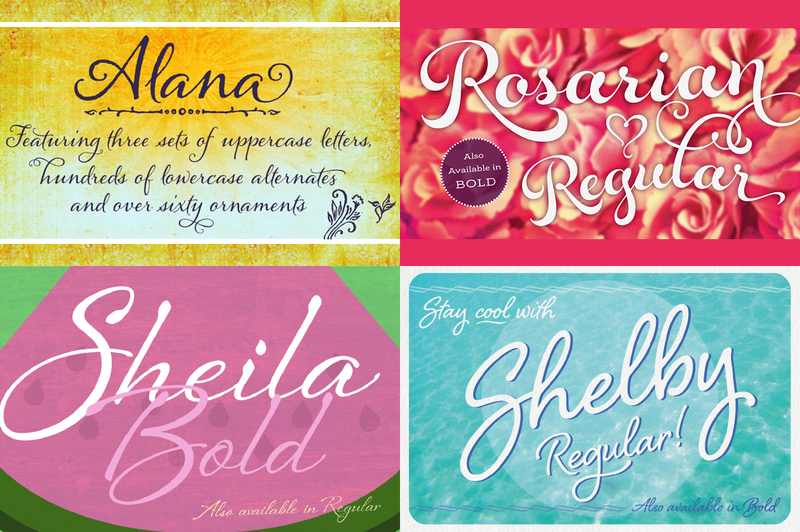 Here's a closer look at the other fonts also included in this limited time Laura Worthington Pack. 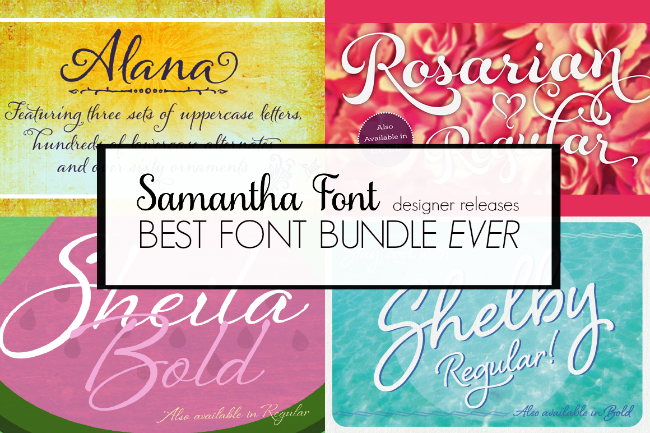 The best part is the pack of four script fonts is only $19 - that's just two dollars more than what the most basic Samantha version sells for by itself. 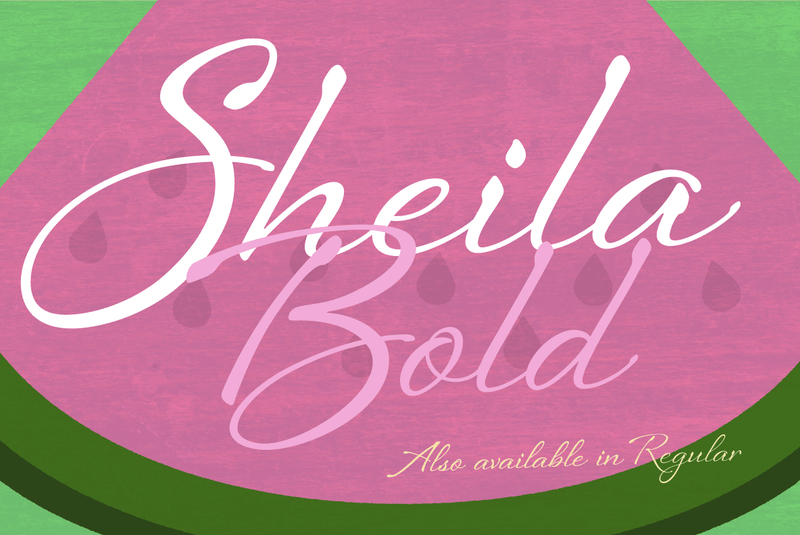 Want to get in on the Laura Worthington font bundle? Grab it from The Hungry JPEG - it will be expiring mid-September! Do I need to use the Character Map with these fonts like I have to do with the Samantha font? Yes you do. Just make sure you install the Open Type version of the font. I don't believe the special characters work with the True Type. Bought them! I couldn't resist...these are just too beautiful.Thank you for the awesome tutorial on how to access the special font characters. The instructions were clear and super easy to follow. I just wish whoever created the Character Map would make that window bigger...very hard on the eyes! I agree with character map being hard to read. It's rough on the eyes!